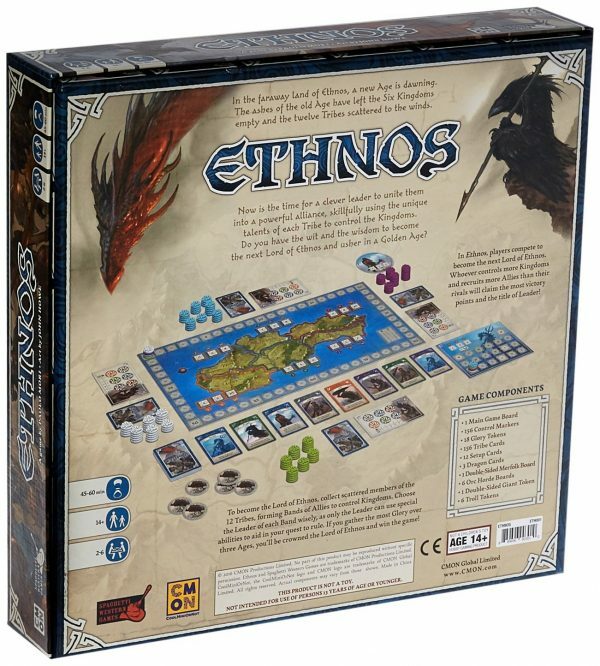 Ethnos | Queen of Games de beste, leukste bordspellen en kaartspellen in Oostende kopen aan de goedkoopste, scherpste prijs. 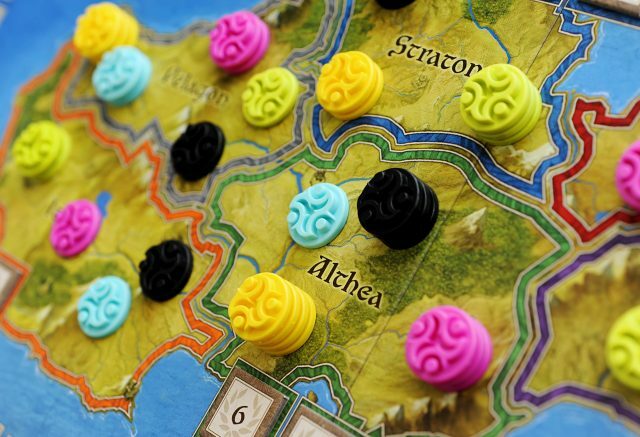 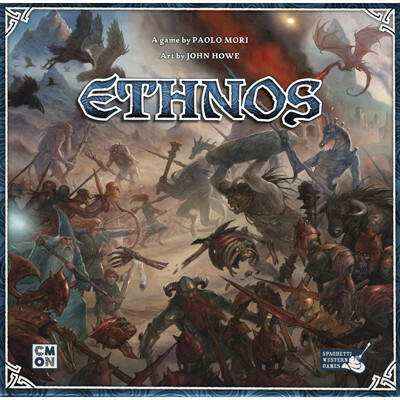 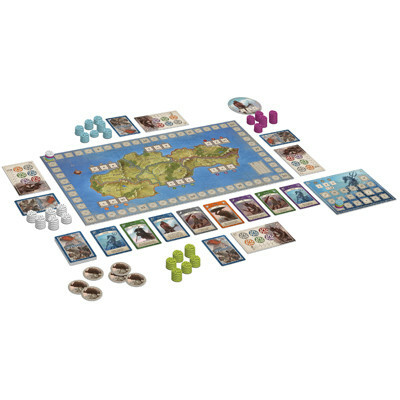 In Ethnos, players call upon the support of giants, merfolk, halfings, minotaurs, and other fantasy tribes to help them gain control of the land. The land of Ethnos contains twelve tribes of fantasy creatures, and in each game you choose six of them (five in a 2/3-player game), then create a deck with only the creatures in those tribes. 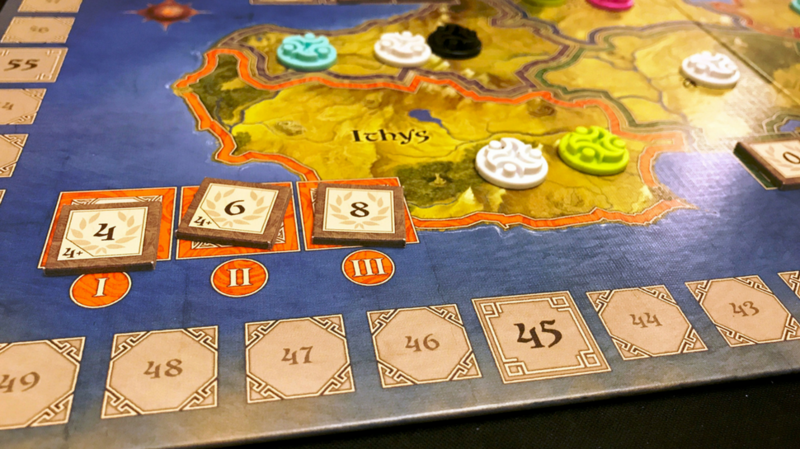 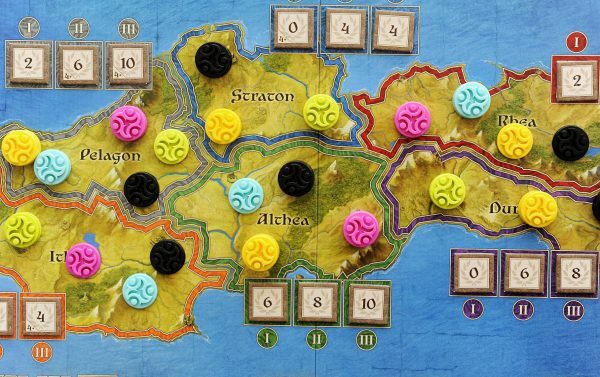 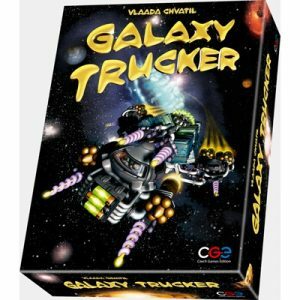 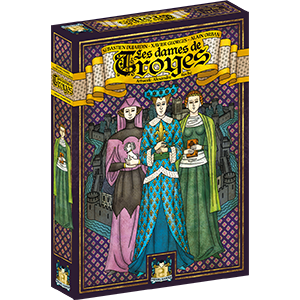 The cards come in six colors, which match the six regions of Ethnos. 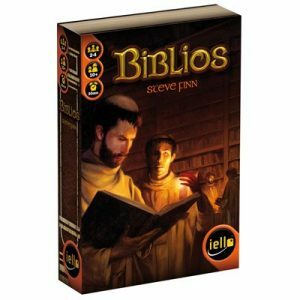 After three ages of play, whoever has collected the most glory wins! 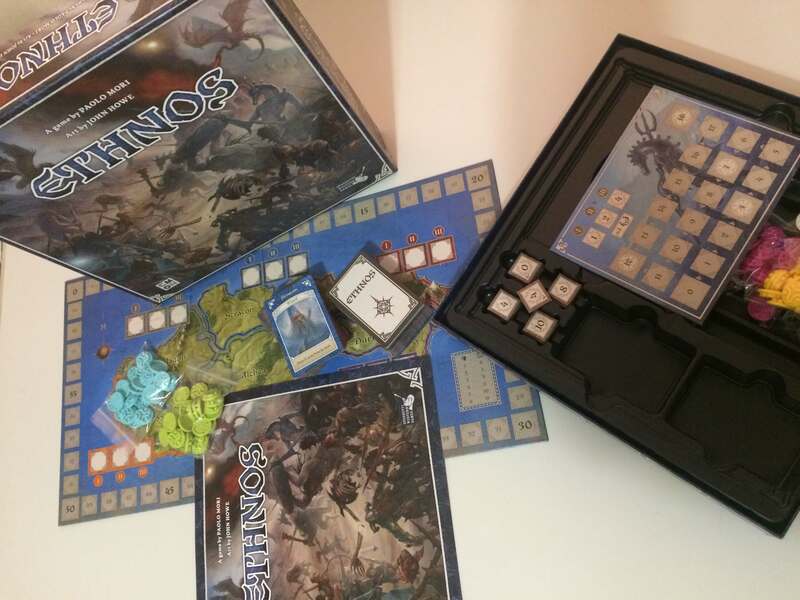 Wees de eerste om “Ethnos” te beoordelen Click here to cancel reply.